Rudolph Alexander is specialized in Custom made Cufflinks using your own idea like names , Logo etc. Whether you are looking for one pair or one thousand pairs, we will design and manufacture for you !! Each pair comes in a very modern impressive style with individual gift box . This process is quite involved, and it takes about 3-12 weeks from start to finish depends upon your requirement. 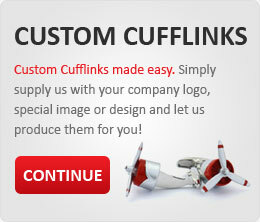 We invite you to fill out the brief request form below so we may contact you regarding your custom cufflink ideas. Upon Your Submit, we provide a layout design and quote, with Custom product code. Upon your approval and a receipt of payment on the Custom product code, we begin production. There are no minimum quantities for our Custom Cufflinks!! Lead time is approximately two weeks, depending on volume.